Asbestos-related cancer can destroy your future, your finances, and your family’s wellbeing. Find out if you can get compensated by speaking with a Boise mesothelioma lawyer. Asbestos exposure can lead to severe illnesses later in life. Sometimes taking as long as twenty to fifty years to manifest, mesothelioma commonly follows exposure to this toxic substance. In fact, this cancer causes around 3,000 deaths per year. If you have been diagnosed with mesothelioma and believe it was due to asbestos exposure when you were younger, a Boise mesothelioma lawyer from Craig Swapp & Associates can file a personal injury lawsuit on your behalf. We can help you seek the financial compensation you deserve for how your family and life have been impacted by your diagnosis. Filing a lawsuit or accessing trust funds will typically lead to a lump sum settlement, whereas a VA disability claim could provide you with a monthly income and free medical care going forward. Your Boise mesothelioma lawyer will seek the largest settlement possible to pay for your medical bills and the negative impact asbestos exposure has had on your life. This involves calculating all of your cancer-related expenses and non-economic losses. Hiring a Boise mesothelioma lawyer does not always mean that you need to go to court. It might be entirely possible to settle your case through either negotiations or the administrative process. This simply depends on whether the other side is willing to take your case seriously and offer a fair and comprehensive settlement. We can represent you during negotiations and evaluate any offer made so that you know if it is fair or not. If going to trial for a court-rendered verdict becomes the best option, we’ll provide you with the highest level of legal representation possible and ensure that you’re well-prepared for what’s ahead. Mesothelioma is a deadly disease, and if your loved one died from it, you might be able to sue on behalf of his or her estate. This is a wrongful death lawsuit, which allows you to seek compensation for things like the wages your loved one would have earned, lost benefits, retirement income, and your family’s pain and suffering. 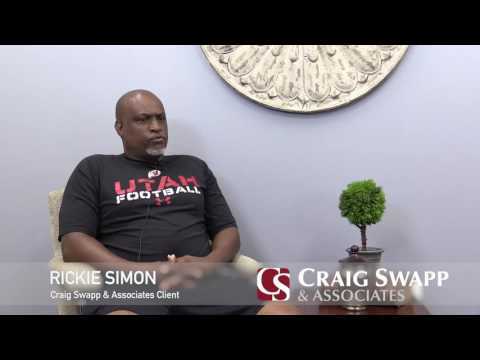 Find out what your asbestos cancer case is worth and how to receive compensation by speaking with a Boise mesothelioma lawyer from Craig Swapp & Associates. You can reach us by calling 1-800-404-9000 or by completing the contact form below.